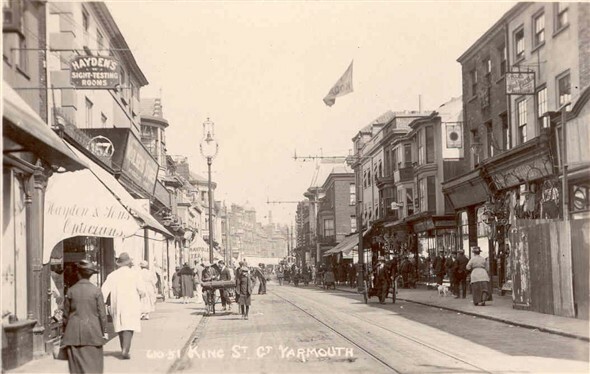 This picture is fantastic..My Great-Grand-parents lived at 102 Kings Street from c.1916 because my GreatGrand-father was based on the Alecto in Great Yarmouth harbour with the Royal Navy. Their names were James & Alice Green and I would be very grateful if anybody had any more relevant photos of this address or even any memories of the family as i'm currently re-searching the family tree. Have you been to the David Howkins Museum of Memories? It is located in King Street, in what was the Gas Company building of 1912.